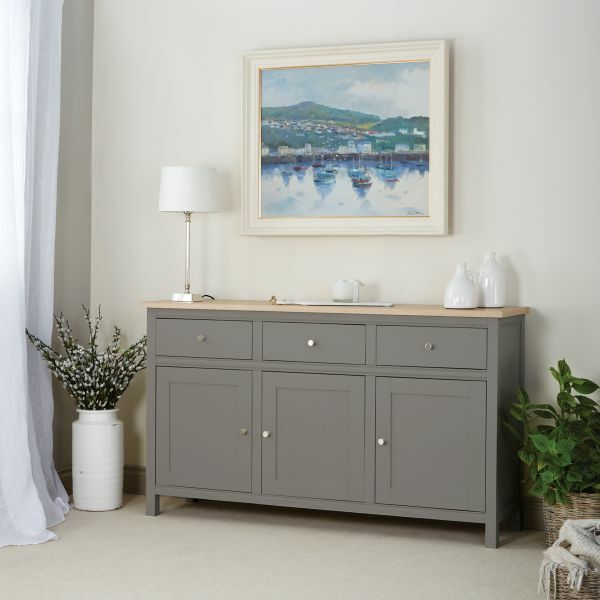 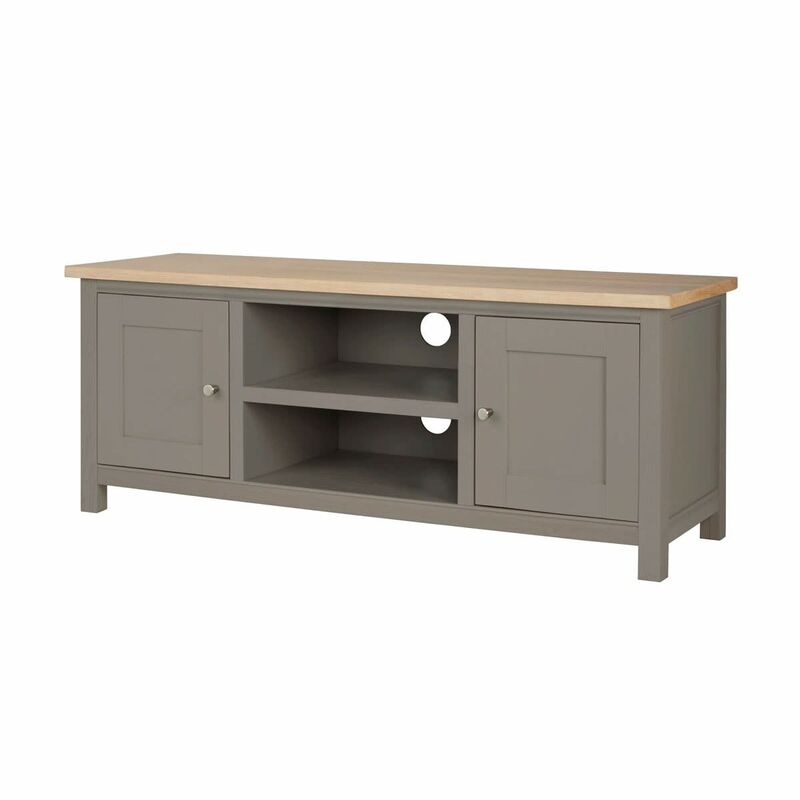 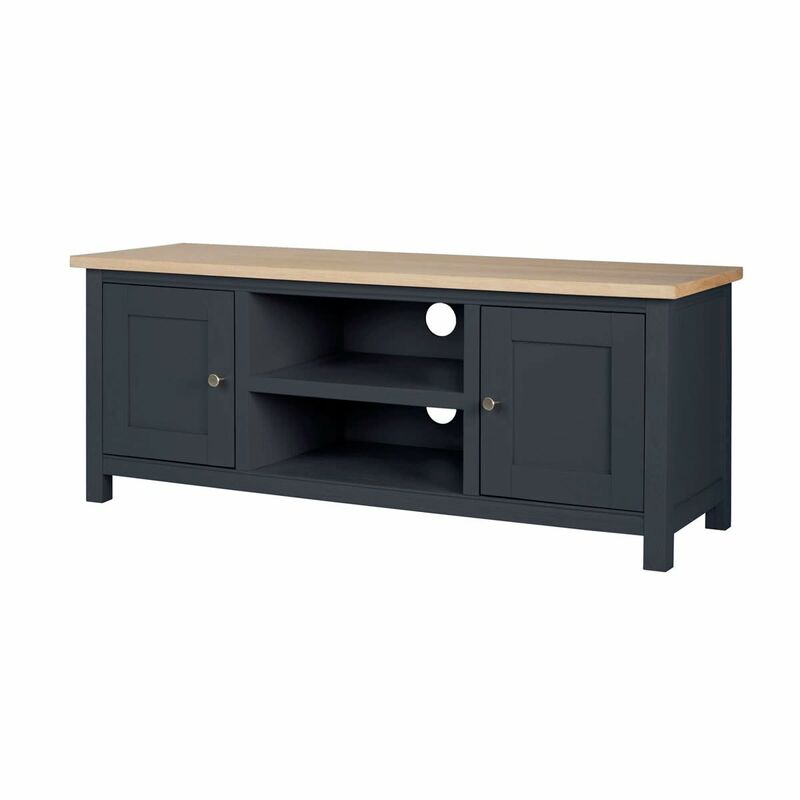 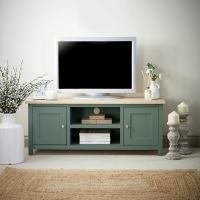 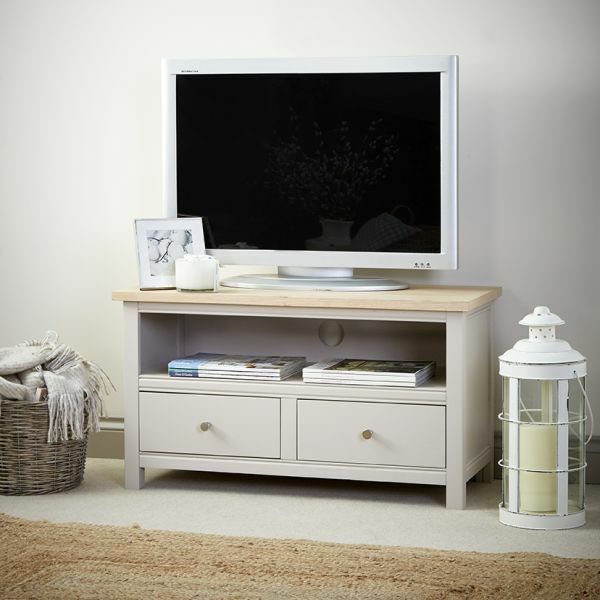 Sure to occupy a premium position in any living room, theRushbury Painted Large TV Unit country good looks and contemporary style would sit well in any backdrop. 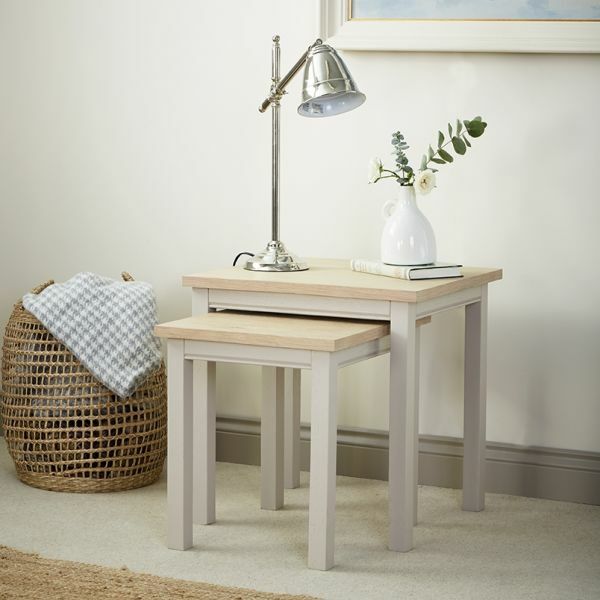 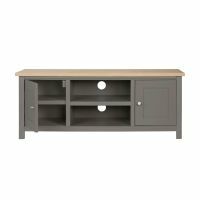 Crafted from oak, it has two shelves for your media devices and a cupboard at each end to store cables, DVD's and games. 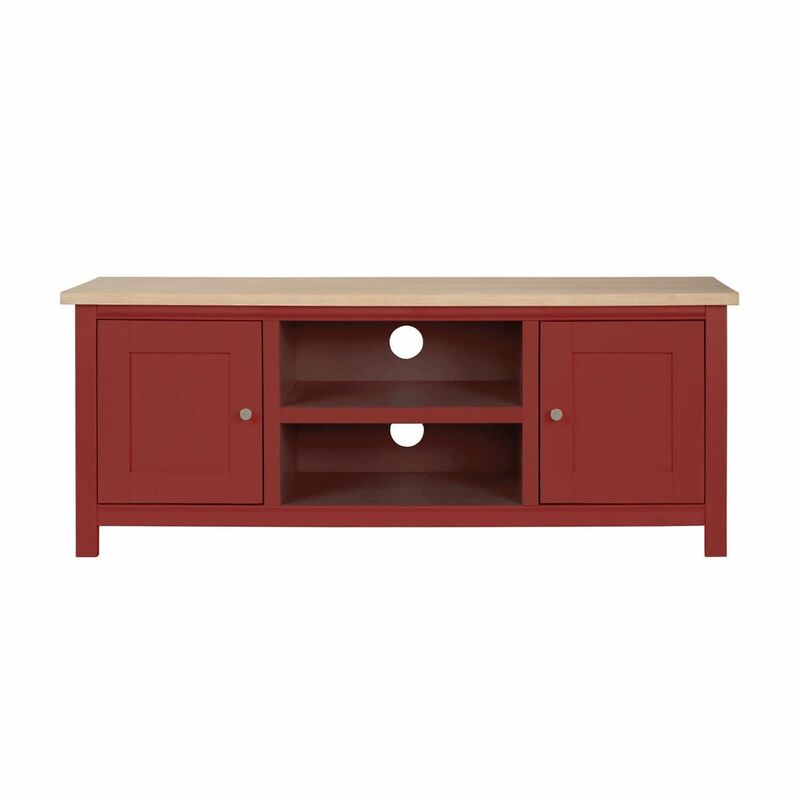 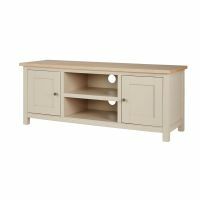 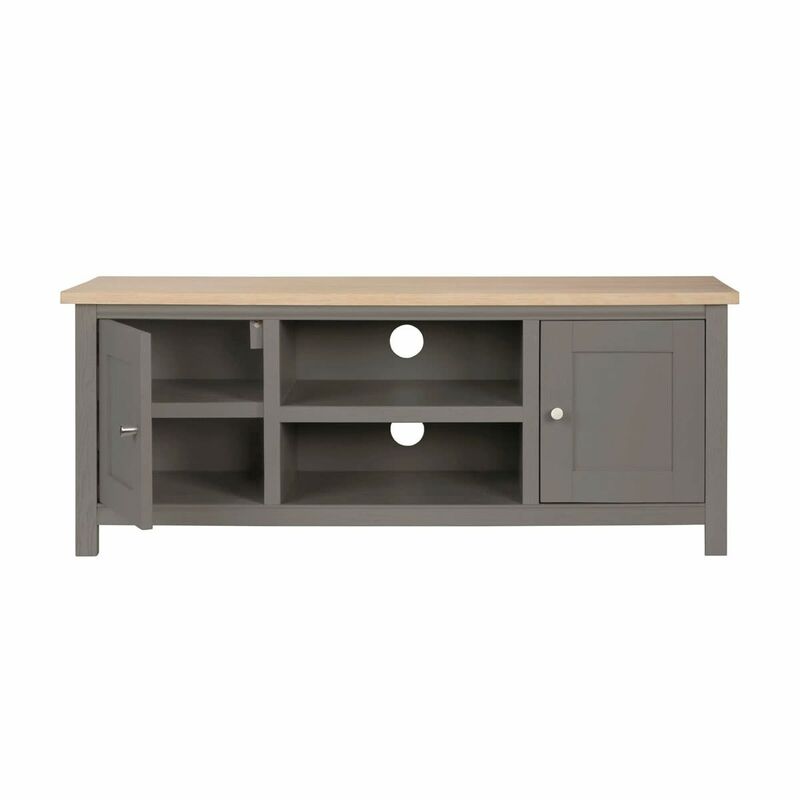 The TV unit is hand painted in a choice of six different colourways and has a contrasting oak top. 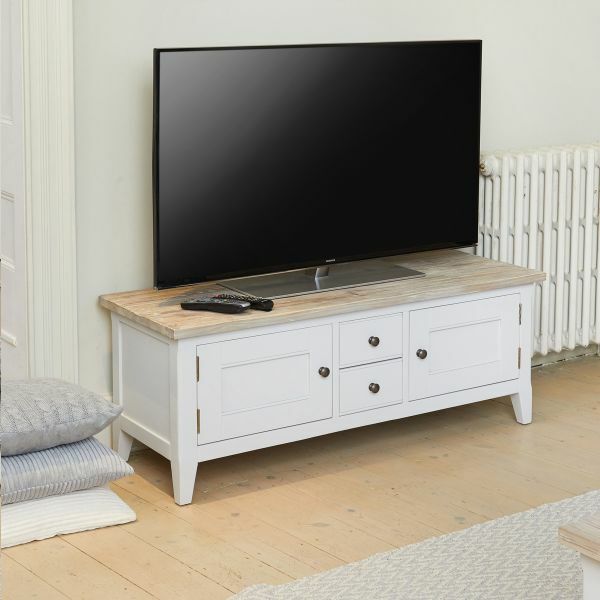 It's designed to fit a TV up to 60” wide and has a hole at the back which helps keep wires tangle free. 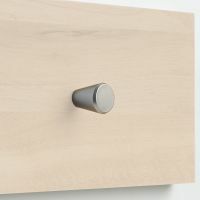 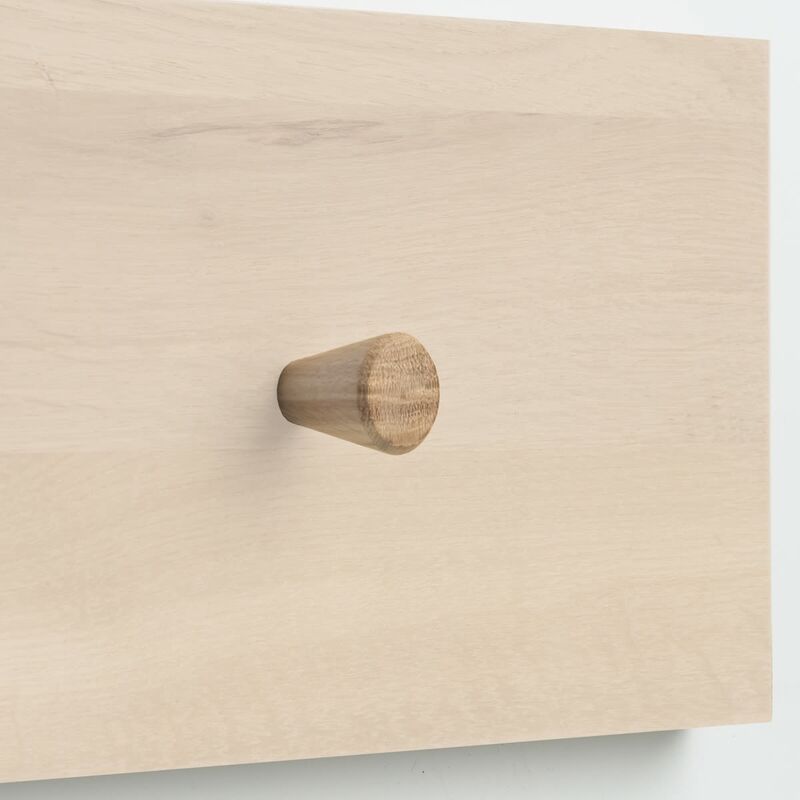 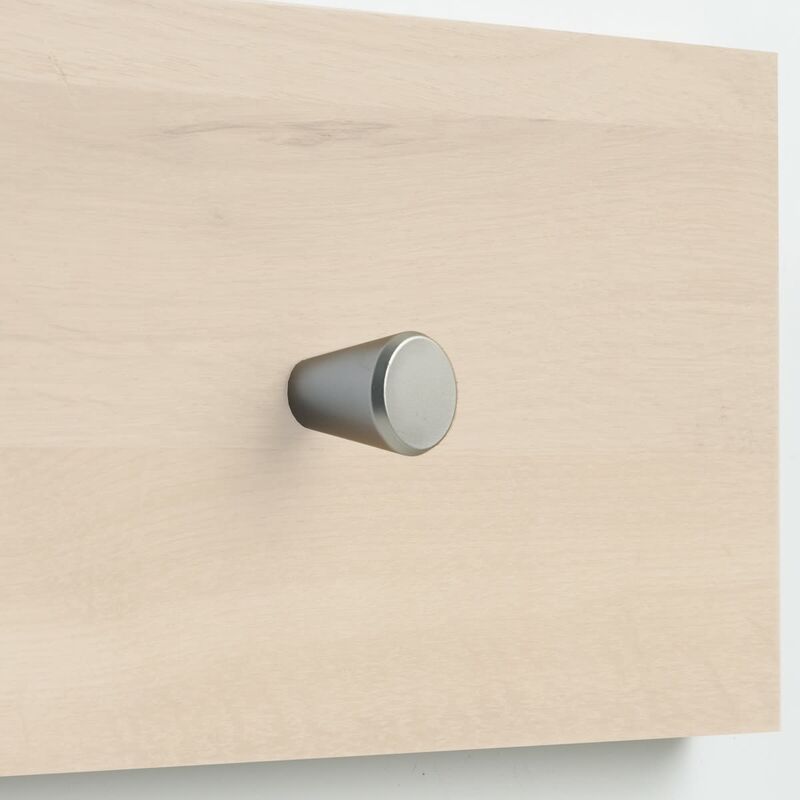 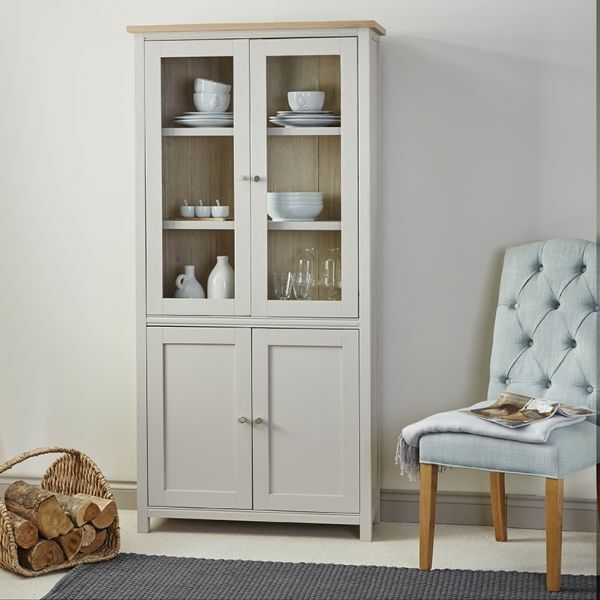 The cabinet is supplied with a choice of two different elegant handle designs which means you can tailor its final appearance to suit your taste. 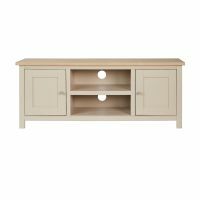 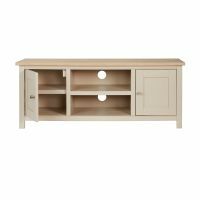 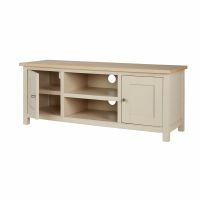 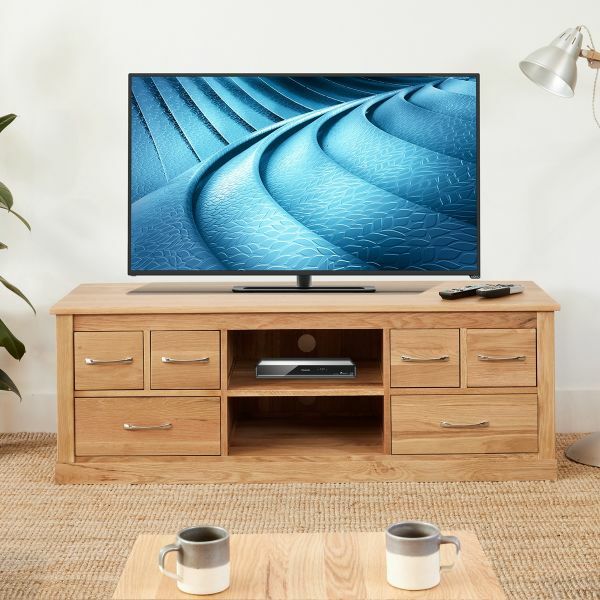 Crafted from oak, with a hand painted finish in a choice of six colour ways, this large TV unit is made to order, superbly built and delivered fully assembled within three weeks. 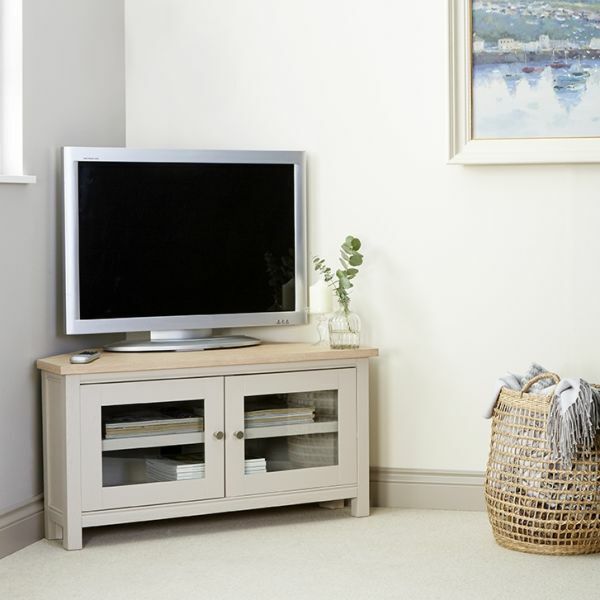 If you're looking for a smart alternative, why not consider one of our best selling Mobel Oak TV cabinet?